Since its inception in 2008, the Department of Mechanical Engineering has a wide reputation for the quality of teaching and research it offers. The excellent laboratory facilities, modern computer clusters, systematically designed curriculum, and dedicated faculty members make this Department a dynamic place to study. Mechanical Engineering Graduates from BIT Mesra, off Campus Deoghar are sought after by many prestigious companies. 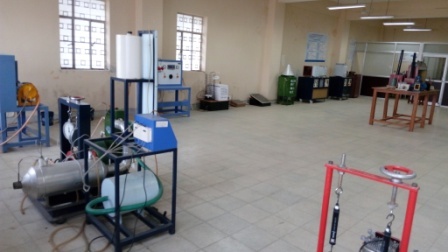 Fluid & Hydraulics Machinery Lab.